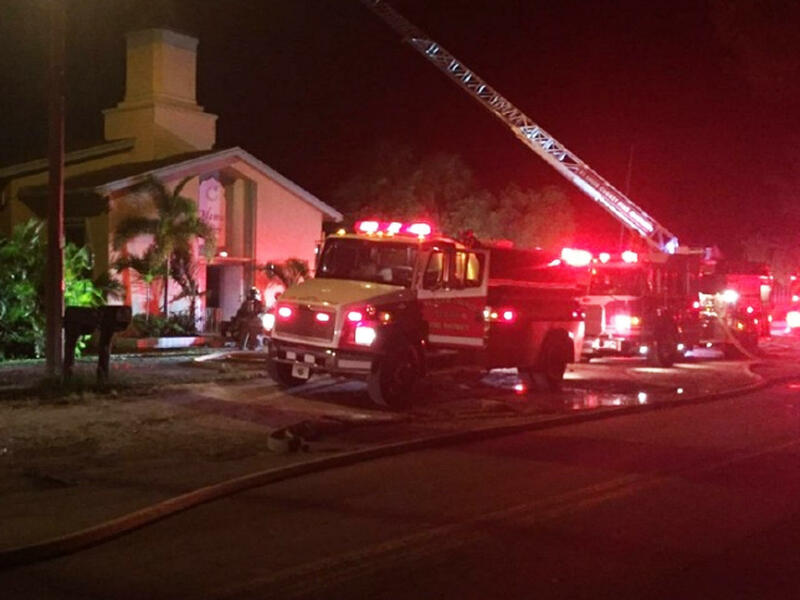 FORT PIERCE, Fla. -- A fire overnight destroyed the Islamic Center of Fort Pierce, a mosque once attended by the Pulse nightclub killer and another American terrorist, reports CBS West Plam Beach Florida affiliate WPEC-TV. The first crews on scene reported seeing flames shooting through the mosque’s roof. The St. Lucie County Sheriff’s Office released a statement Monday morning says the blaze was set. “A fire at any place of worship is alarming, regardless of the circumstances,” the statement says. “Video captured at the Fort Pierce Islamic Center shows an individual approached the east side of the building just moments before a flash is seen and the fire starts. “The Sheriff’s Office is actively investigating this as an arson with the assistance of the St. Lucie County Fire District, the Florida State Fire Marshall’s Office, the Bureau of Alcohol, Tobacco and Firearms and the Federal Bureau of Investigations. Authorities said it was unclear if there were any ties to the 15th anniversary of the September 11 attacks. Mosque leaders told WPEC in June they’d been receiving threats, including threats to that the building would be torched. Security was stepped up. Omar Mateen, the man federal authorities say killed dozens of people at the Pulse nightclub in Orlando June -- the worst mass shooting in U.S. history -- attended the mosque. He was killed by police in a shootout at the club. Moner Mohammad Abu Salha, the American Taliban who became a suicide bomber in Syria, also went to that mosque, WPEC says. Mateen lived in Fort Pierce and once worked for a security firm in Palm Beach Gardens. Just last week, the state of Florida fined G4S Secure Solutions $151,400 for listing the wrong psychologist’s name on more than 1,500 forms that allowed employees to carry guns, according to The Associated Press. One of the forms belonged to Mateen. The company filed a form in September 2007 to let him carry a gun as a security guard. In a statement, the company said the wrong psychologist’s name was listed due to an administrative error.